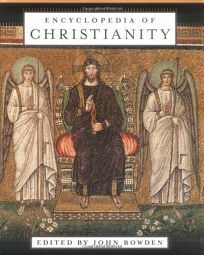 The more than 300 stylish and informative articles collected in this encyclopedia make a fascinating introduction to Christianity through the ages and around the world. The distinguished contributors include Oxford University professor John Barton, Georgetown University ethicist Cynthia B. Cohen and University of Chicago emeritus Martin Marty. If some of the essays-such as those on ""persecution"" and ""saint""-are a tad predictable, others are delightfully counterintuitive. Elizabeth J. Harris's contribution on ""Buddhism and Christianity"" shows that church fathers were aware of Buddhism by the second century and suggests Buddhist monasticism may have shaped Christian monasticism. Carolyn J.B. Hammond moves from Christian understandings of God's activity in human history to the question of human suffering in an entry on historiography. A delightfully quirky essay on ""Community Arts,"" by Rod Pattenden, shows the mission of the local church is reshaped when churches sponsor artists-in-residence. Twenty-one stunning color plates help inflate the price-tag, but they are well worth it. (There are also 96 black and white illustrations.) Call-out boxes explain Latin and Greek theological term, catalogue papal encyclicals and list famous Marian apparitions. Caveat lector: those readers who come to reference books expecting ideological neutrality won't find it here. The essay on ""Women in Christianity,"" for example, was written by Rosemary Radford Ruether and suggests that many Catholics find the Church's teaching on gender ""unacceptable and even incomprehensible."" Overall, this encyclopedia is a must-have for any Christian reference shelf.